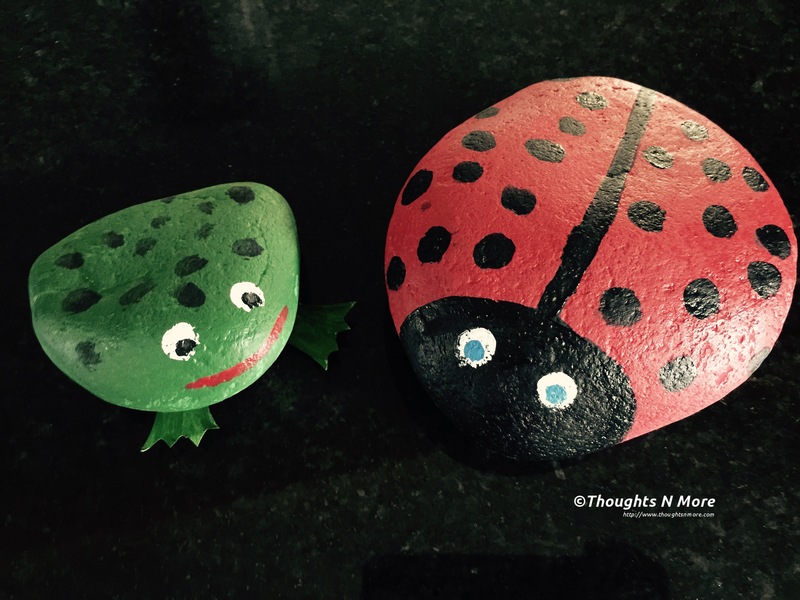 different craft activities that you can do with kids on those rainy/cold days. 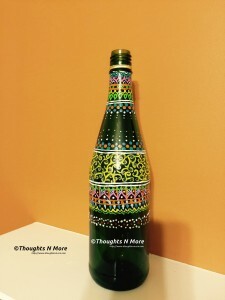 Many of my friends liked the rock painting idea and wanted me to share some more ideas..so here it is Bottle Painting. 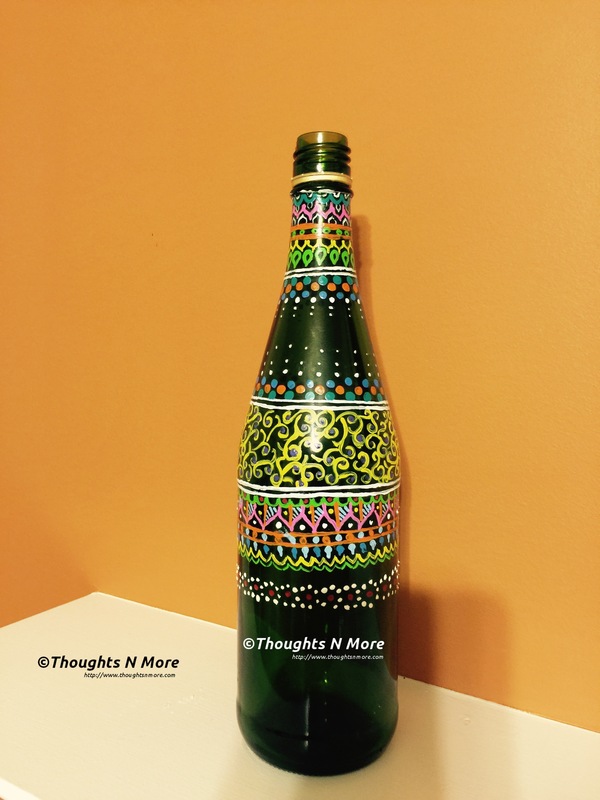 Some times you have these lovely bottles that you can use as decorations with just a little bit of colors and lots of patience. I am the person who can not sit idle , I like to keep myself engaged in one thing or other that helps me grow as an individual. These last few weeks I was taking my kids to swimming classes unluckily (well later I found out it was blessing in disguise) both of them could not get the same timings , Hence Mom of 2 had to sit for 2 hours for their classes. This particular bottle is the outcome of those swimming classes. 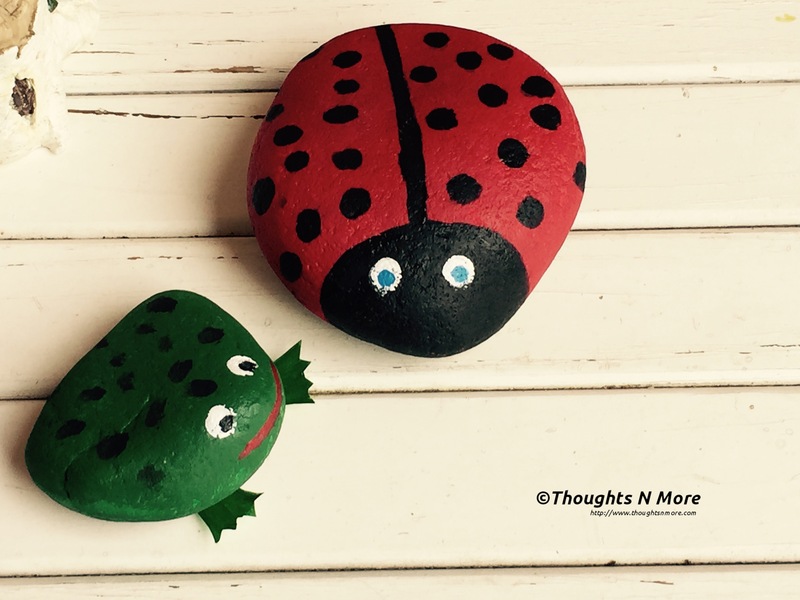 You can use the same idea in rock painting too and let your imaginations run wild and play around with many designs. It can be a great Gift idea too for some of those who like a little bit of personal touch. Have you ever had one of those rainy days with kids when you don’t know what to do with them? Or like me your kids have been after you to get a pet and you dread with all the work that comes along with them. Not to mention the fear of growing emotional attachment with them. Here is the perfect solution to it.This summer after our Out of country trip, my kids were not interested in joining any camps. My son told me he simply want to “chillax” 🙂 . If you are one of those parents who believe in restricted electronic time , the task becomes more difficult on how to keep them occupied in a constructive way. My daughter kept asking for the pet and then this idea dawned on me. I told her well instead of getting a pet why don’t we create a pet . She was like “Huh… create a pet ? ” . She likes rock collection so we decided we will do rock painting and she decided on lady bug and frog. My kids named them Lilo and Stitch. Now the kids are happy (they got 2 pet) and Mommy is happy ( the kids learnt something new and now they are happy too) and of course the pets are ready to welcome the seasons in our front yard. This summer when you make those beach trips gather few nice rocks , save them and then turn them in to beautiful work of art in those rainy days. 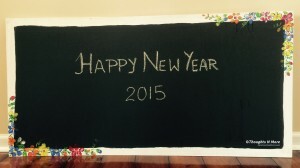 This Christmas break , we did art project of creating this black board for kids to play. Made of plywood and then kids did thumb painting on it to create flowers.